We had a delightful weekend, pleasantly under scheduled. A few friends came by for causal visiting, nice and low-key. Andrew bottled a batch of beer, even though he can't drink it as he is currently eating gluten-free. We juiced the last of the apples from our apple trees and started another gallon of apple wine. We had sunshine on Saturday, not in the forecast, and enjoyed a brief hour of working outside in the yard. We took a family mall walk in which we stared at people (something all 3 of us love to do) and ate Ivar's for a special treat. Yes, there is an Ivar's in our mall. We did some cleaning and organizing in our garage and Andrew got brave enough to go on a hunt for the wasp/hornet/something scary nest from last fall. In case you didn't know this detail about our life, there was a wasp/hornet/something scary nest in the wall/ceiling spot where Scout's bedroom, the garage, and outside all meet up. We could see the spot where the wasps/hornets/somethings scary went in and out and made a big gross mess on the outside wall. 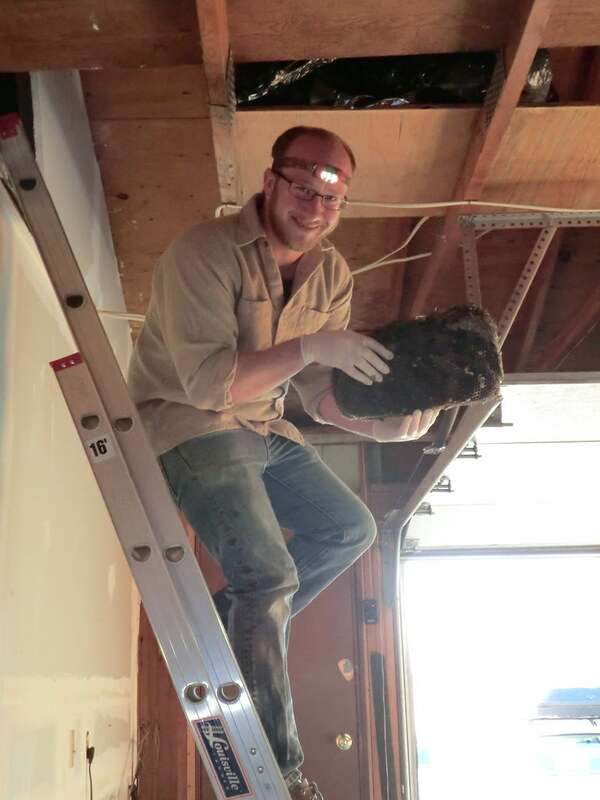 Andrew went up in the attic crawl space and couldn't see a nest. But the wasps/hornets/somethings scary would end up in the garage frequently. No fun. We googled around for ideas and liked the suggestion about waiting to see if it died out over the winter. 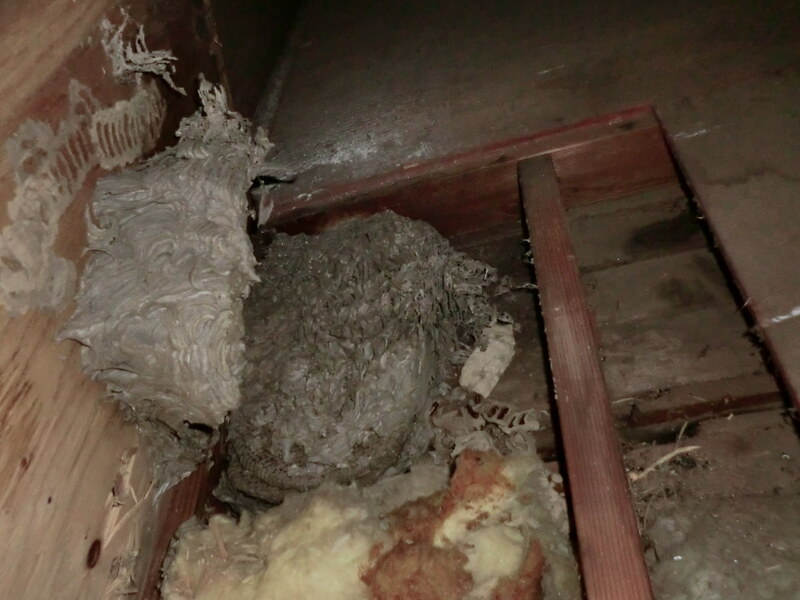 Well the wasps/hornets/somethings scary went away and seemed to have died, so Andrew went up in the attic and pulled up boards until he found the nest so he could destroy it. And patch the hole so they won't come back. 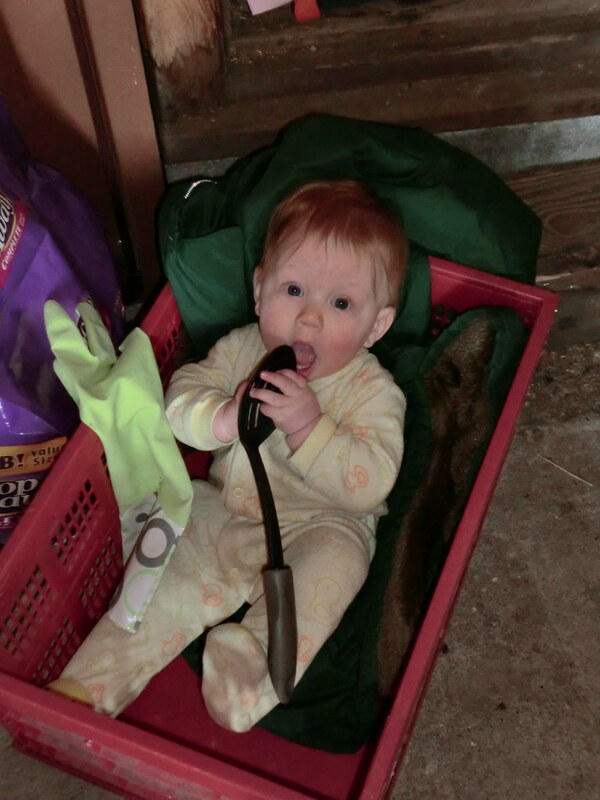 While he was being brave and tackling the big scary nest, Scout and I sorted through some of the stuff in the garage that needs to find a new home not with us. She was very helpful and we now have some fun barters happening this week. We also went to Costco, after which Scout learned a new and exciting trick that I will tell you all about tomorrow. Because this post is getting entirely too long and she deserves a post to herself. Finally, and the downside of the weekend. I got sick. Like leaky faucet hit by a truck sort of sick. Andrew seems to be getting it too, send your best wishes that it will pass quickly and that Scout will get missed. This post about parenting, just because it made me think about what my priorities are. This post and this post about composting and soil. Because it's time to get excited about gardening. This page, because I want one pretty bad. This recipe, which we tried and is tasty and easy. Trying to learn more about probiotics and healthy bacteria for the guts.